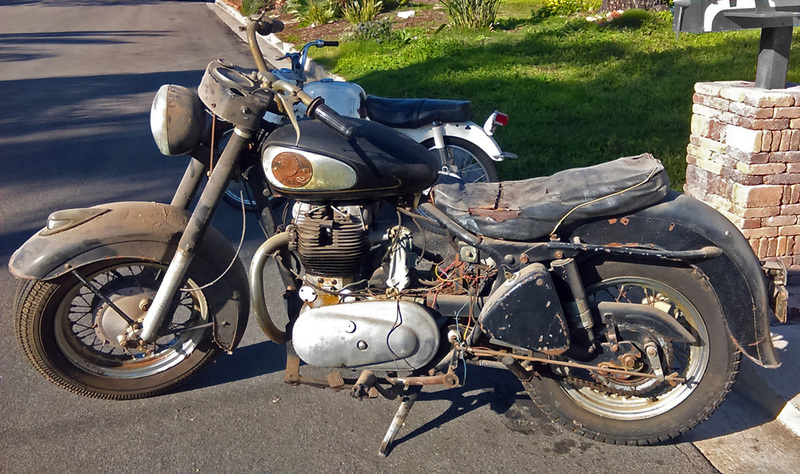 You might like finding a Royal Enfield built Indian Chief in your garage. What are you leaving for the next generation? Oran Bloodsworth of Oceanside, Calif. inherited an Indian Chief, built by Royal Enfield, from his father. He recently pulled it out of the garage for the first time in 20 years. 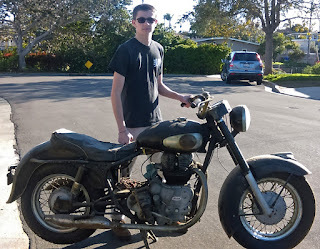 He plans to get it running and let his son, now 17, ride it. 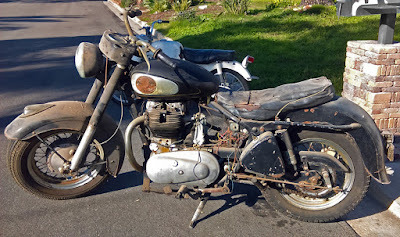 "This was the bike my father rode before I was born in 1965. I have never heard it run, but it still turns over," he wrote. "I hope sometime in the future to get it running for myself and for my son." Oran's son can look forward to riding this Indian Chief someday. Warren lost his father years ago, but has fond memories of his dad teaching him to ride a motorcycle; at age seven! His dad watched him crash his little Indian motorbike and didn't rush to help him as the hot exhaust pipe burned his leg. "I finally got the bike off me and showed him my leg (still have the football shaped scar). He propped the bike against the tree and went into the house. Grandma gave me two Popsicles, one for my leg and one to eat. By the time the second Popsicle was gone I asked my dad if we could ride more. "And he said 'sure son.'" Oran has learned from Graham Scarth that his matching-numbers Chief would have been dispatched from the factory in January, 1959. He posted a YouTube video of the Indian Enfield that provides a good look at the Royal Enfield Indian Chief his son may be riding someday soon. How would like to see him at your door? "Hi, I'm here to pick up your daughter."